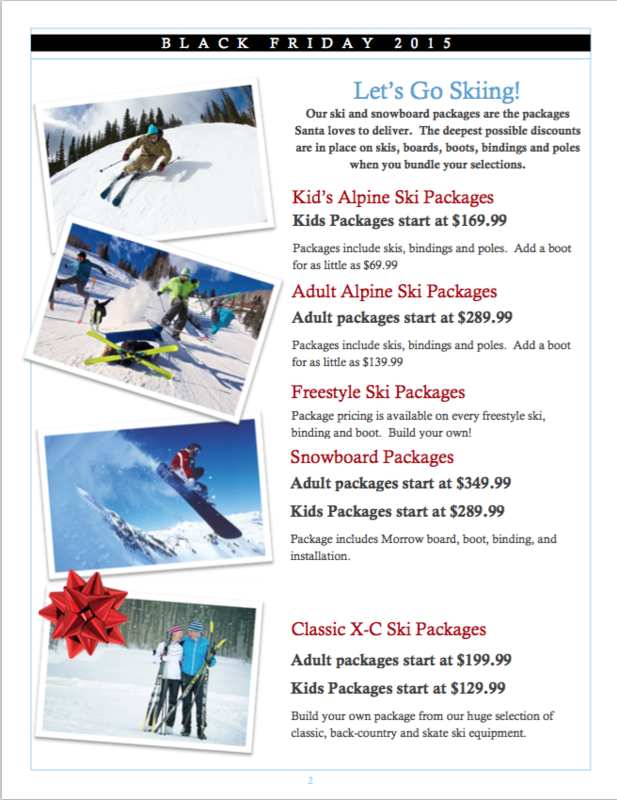 Calling all Santa & Mrs. Clause stand-ins! 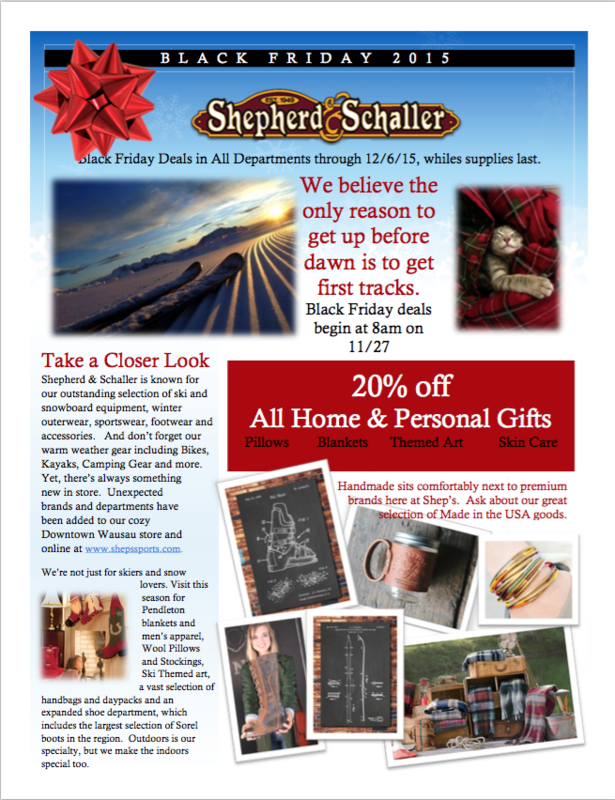 Shep’s has great deals for your holiday shopping! 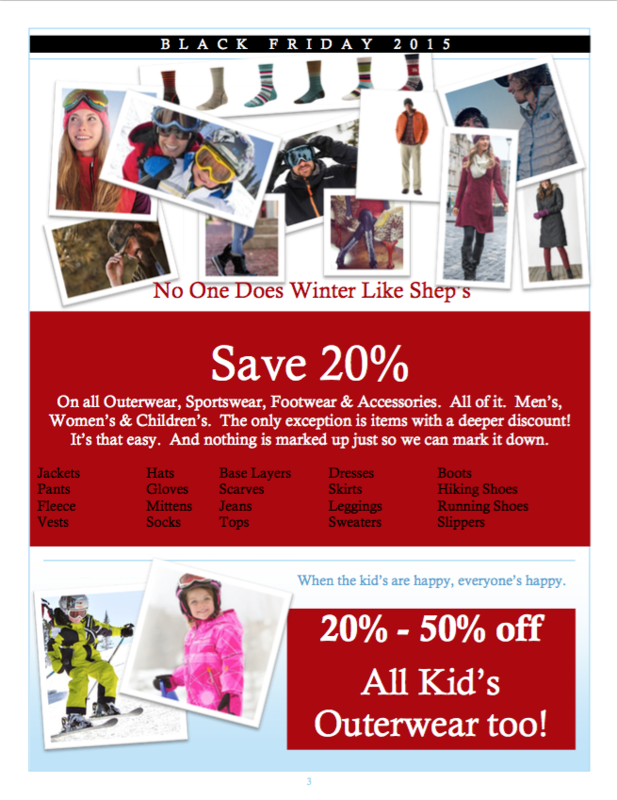 As always at Shep’s, you’ll save big money on all ski & snowboard equipment with our sale and “package” pricing. 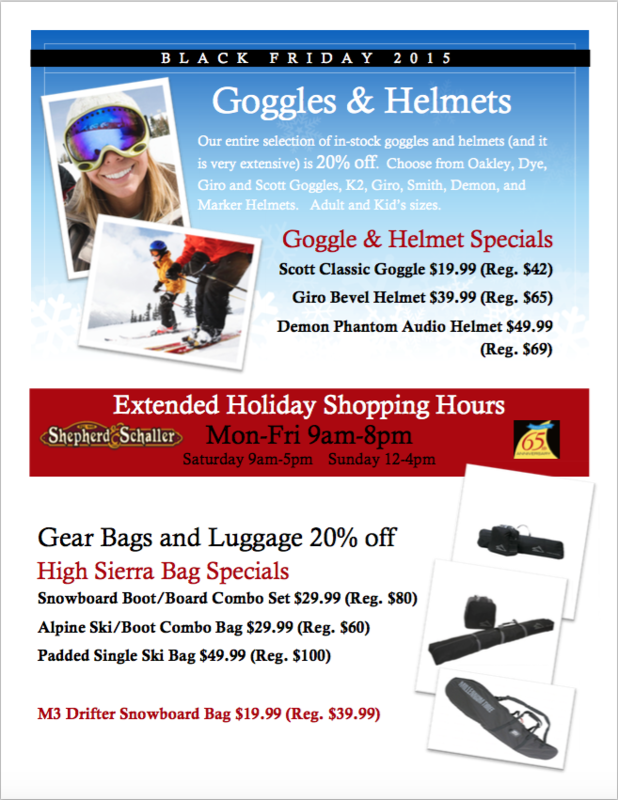 But besides that, enjoy our current promotion & save on all clothing, footwear, accessories, helmets, goggles, and more! 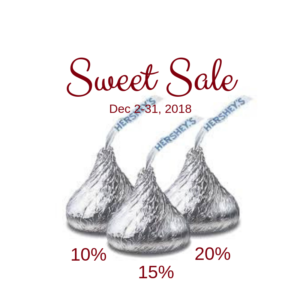 After filling your gift bag & throwing it over your shoulder (Ho Ho Ho), you’ll spin our Discount Wheel at the register and earn a discount of 10, 15, or 20% off all applicable items. 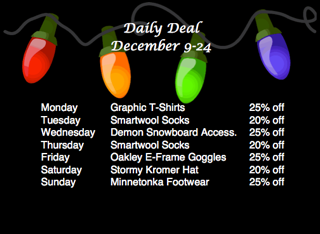 Besides this offer, you can take advantage of the Daily Deal; one favorite gift/stocking stuffer idea at an end-of-the-season discount. What’s better?! 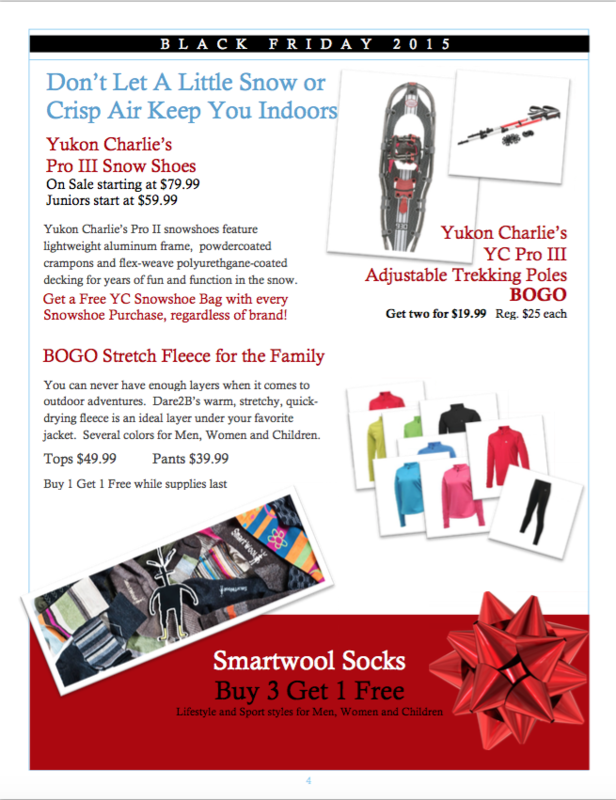 Take advantage of the discounts through December 24th!